We're sure that Prince Andrew and Sarah Ferguson are excitedly looking forward to October, when they'll see their youngest daughter, Princess Eugenie, marry at Windsor Castle. The pair are known to be very close to both their daughters, Beatrice and Eugenie, so it’s likely to be a very happy, and emotional occasion. But it turns out that Fergie and the Prince won’t just be excited parents of the bride on the day – they’re actually having a hand in putting the celebrations together too. According to Vanity Fair, the Duke and Duchess of York will be key in organising the evening do on their daughter’s big day. A source told the publication, “Sarah and Andrew are helping to organise the evening party. It’ll be a sweet reunion for Andrew and Sarah, who haven’t worked closely together on a project for some time, since their divorce in 1996. It’s also been claimed that the evening reception will take place at the York family home, Royal Lodge. The huge Grade-II listed royal residence, in Windsor Great Park, is just a 15-minute drive away from St. George’s Chapel in Windsor Castle, where Jack and Eugenie will get married – so it’s in handy proximity for the bride and groom. Princess Beatrice and Princess Eugenie grew up in the house from 2004, when they were both 15 and 14 respectively. In fact, Sarah, Duchess of York, also moved into the home some years later – despite the fact that she and Andrew were separated. It’s thought that Fergie still lives on the property now, although in a separate dwelling. 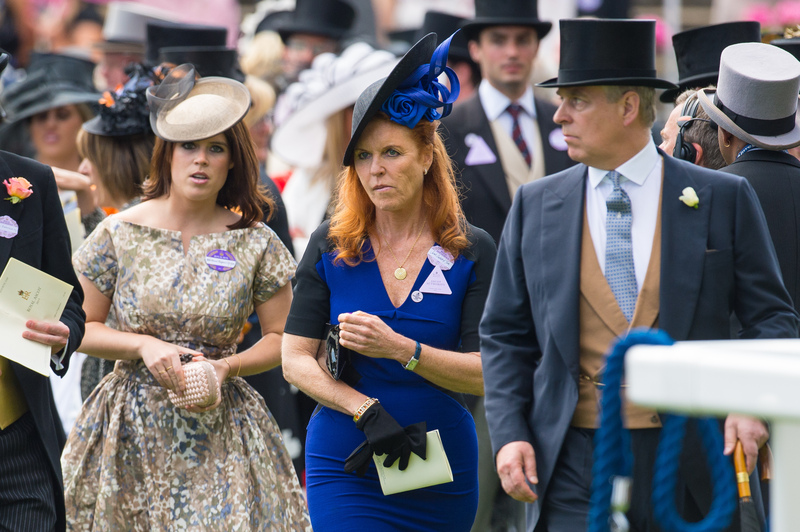 And reportedly, the Duchess of York is playing a huge part in her daughter’s day in another way, helping to organise the guest list for the nupitals. The Vanity Fair source claimed, “Sarah is being very hands-on, but in a great way, and Eugenie wants her mum to be a big part of it all and will make sure Sarah is included in every aspect.